On Thursday, April 18 from 1:00 p.m. to 2:00 p.m. Central Time, check out the NFDA Virtual Roundtable: Death Cafe Culture and Before I Die Festivals. Funeral directors can get their needed continuing education credits by participating in this one-hour discussion. Death Cafes and Before I Die Festivals provide an informal, comfortable environment for people to talk about the “taboo” topic of death. The increasing popularity of these events makes it clear that people are taking proactive steps to seek more information about end of life decisions before the need arises. Gail Rubin and Justin Magnuson discuss Death Cafes and Before I Die Festivals. Join NFDA’s Lacy Robinson, pioneering death educator Gail Rubin and Justin Magnuson, founder of The Living Fully Initiative, as they discuss their experiences with organizing Death Cafes and Before I Die Festivals. We’ll explore how funeral directors can contribute to these events and outline the steps event organizers should take to ensure a positive experience for attendees. Lacy Robinson, CFSP, NFDA Director, Member Development, develops and facilitates training programs for NFDA members. She regularly presents continuing education programs on the local, state and national levels. She is a licensed funeral director/embalmer, a certified funeral celebrant, and certified member of the Academy of Professional Funeral Service Practice. She holds a bachelor’s degree in Communications from Georgetown College, and is also a graduate of Mid-America College of Funeral Service. Justin Magnuson is founder of The Living Fully Initiative, which hosts educational events around end-of-life conversations. His life’s work is to change our cultural approach to the end-of-life. Inspired by being his grandmother’s health care surrogate and years of hospice volunteering, Justin works in the Louisville community on several fronts to accomplish this goal. He started by hosting Death Cafes and facilitating The Conversation Project in 2014, since then he has collaborated with kindred spirits on National Healthcare Decisions Day events and co-founded the city’s first Before I Die Festival in 2016. 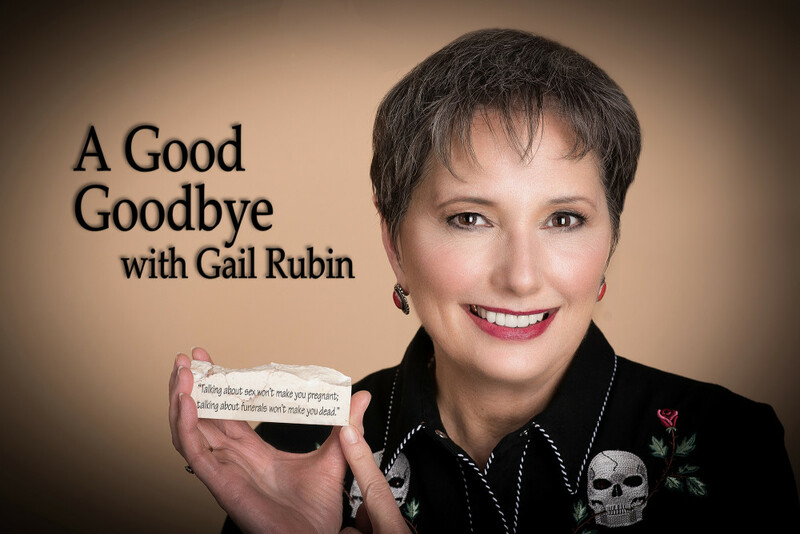 Gail Rubin, CT, The Doyenne of Death®, helps get end-of-life and funeral planning conversations started with a light touch on a serious subject. Gail pioneered the Death Cafe movement in the United States. She hosted the first Death Cafe west of the Mississippi in Albuquerque, New Mexico in September, 2012. She also held the first Before I Die Festival west of the Mississippi in October, 2017. Registration fees for the virtual roundtable and continuing education credits are $99 for NFDA members, $149 for nonmembers. Visit this page at NFDA.org to register.